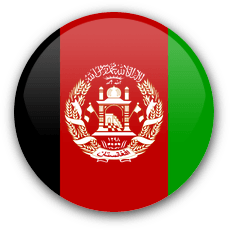 A new domestic T20 league, the Afghanistan Premier League (APL), is due to debut in October 2018, announced an Afghanistan Cricket Board (ACB) executive. Afghanistan already has a functioning domestic T20 tournament, the Shpageeza Cricket League, but the APL aims to attract a wider audience with the presence of international players and the showmanship that helped the IPL kick off the domestic T20 league boom ten years ago. According to the ACB, a number of international players have expressed in taking part in the tournament that is scheduled to take place in the United Arab Emirates. As of now, the league will consist of 5 teams. The bidding for the teams is scheduled for March 2018, with the player auction following soon after. With the Afghanistan Premier League in October, June is now the only month in the international calendar when there are no top level T20 leagues taking place. Afghanistan's current domestic T20 tournament, the Shpageeza Cricket League, will continue to be played the month prior to the APL. Fast. Lite. Innovative. Shareable. Download our HW Cricket App, for Android and iOS! Get our best articles in your inbox! Why only IPL for Indian cricketers?